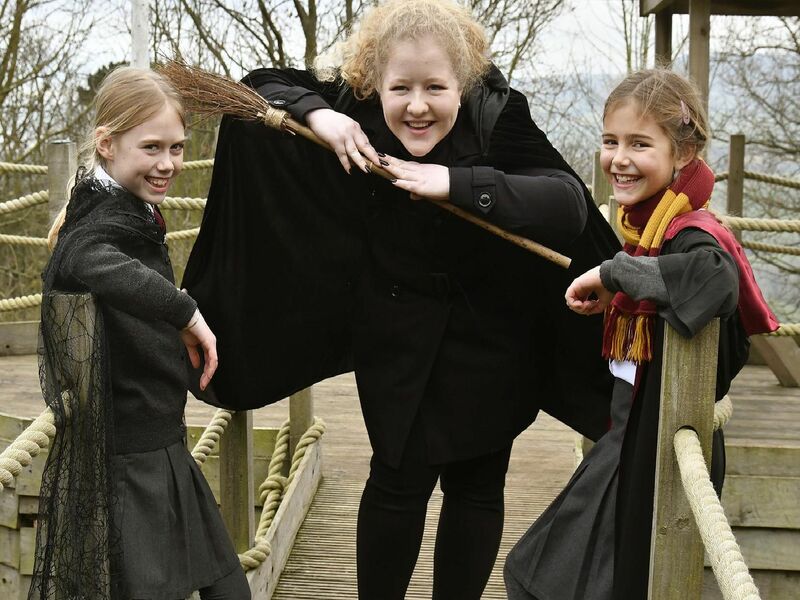 From floating candles in the corridor to a Quidditch pitch in the playground, there’s a touch of magic about the new term at Fyling Hall School. The junior school is being transformed – or should that be transfigured – into Hogwarts, complete with a potions classroom and a hidden forest, from JK Rowling’s Harry Potter books. Fyling Hall youngsters try these broomsticks out for size. Maria shows off her Potter-themed look. Teacher Rachel Watson with Verity, Alex and Sarah, with tricks and spells at the ready. Bonnie with the Magic Globe.